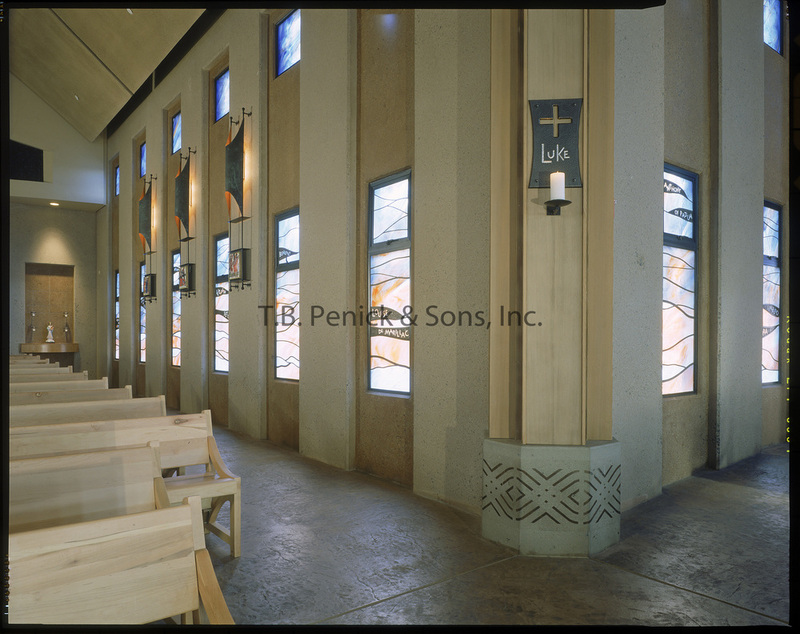 St. Vincent de Paul was a new church constructed for an existing Parish campus located in Huntington Beach. The existing buildings were very contemporary and plain. The parish wanted the new church to command a new separate identity rooted in a more traditional form. 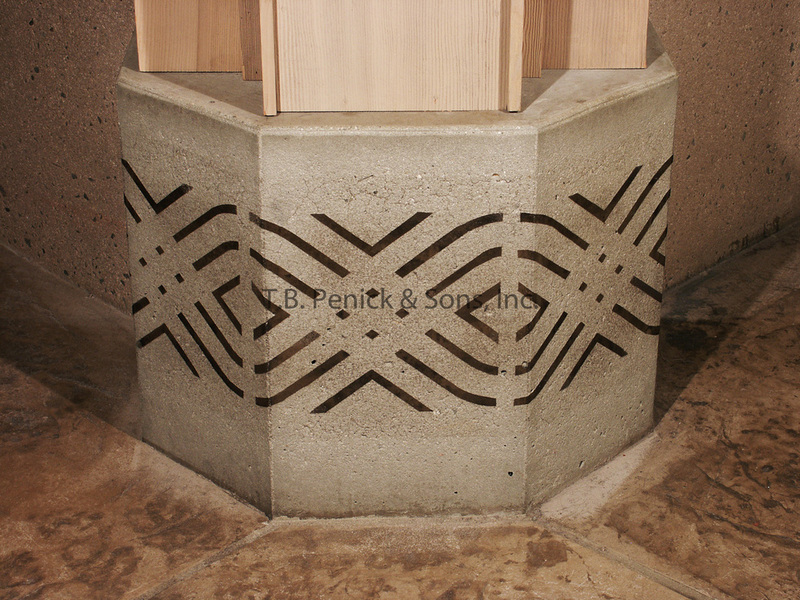 Tilt-up concrete panels were used due to their stone-like, economical, and low-maintenance properties. T.B. 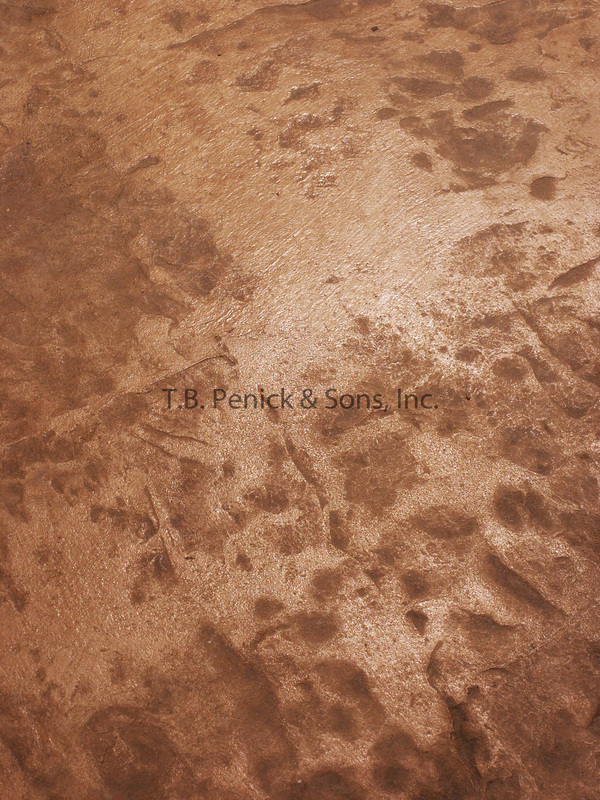 Penick and Sons, Inc. then used the concrete as a canvas. The foundation floor was poured then saw-cut. 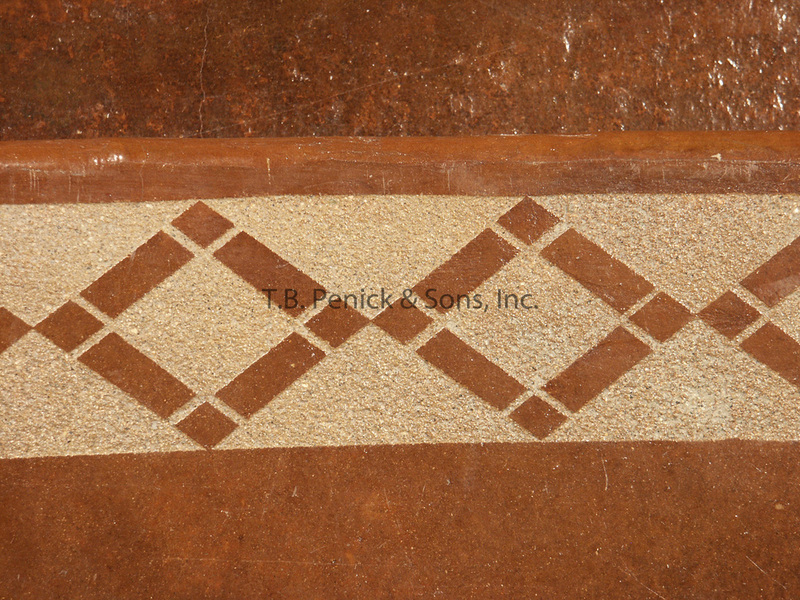 Using the Bomanite® System, the floor was given a slate texture as well as a fishtale cobblestone look, and then reacted with TBP Custom Colors to bring about the desired effect. The Reactive Coloration System was applied to the walls as well. The look is simple yet elegant. 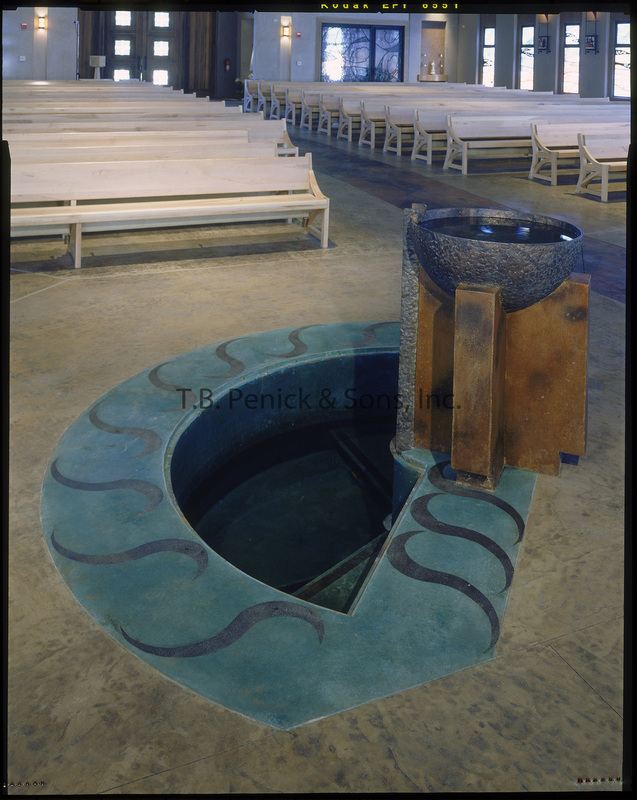 The resulting colors reinforce the traditional design that the Parish sought to achieve. The walls were template etched and left rustic, as if it had been there for many years. 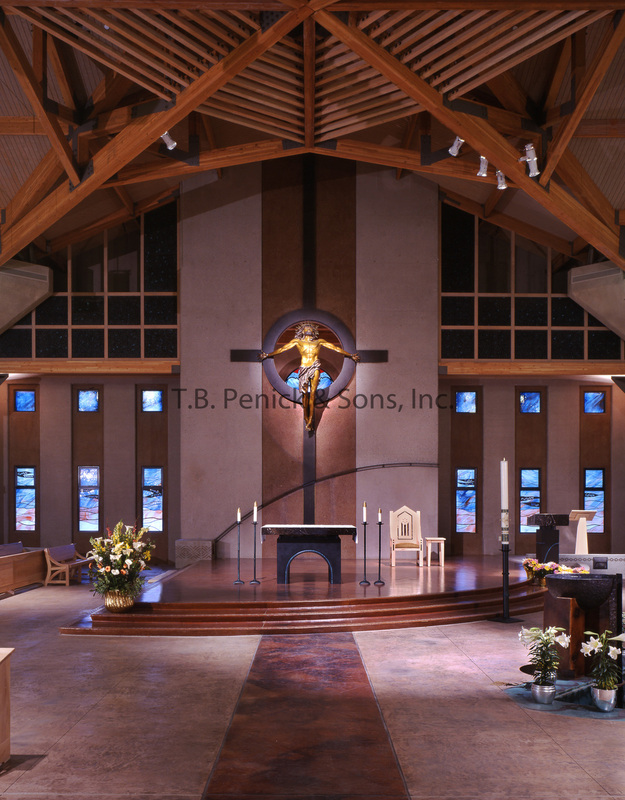 The project also features 40 ft. high microtopping over the tilt up structure at the rear altar. The exterior paving was done using one integral color concrete plus seven different Reactive Coloration System colors, giving the project the illusion that we had poured separate panels of different colors. T.B. Penick's Reactive Coloration System provided the architects with a cost-effective medium by which they could fulfill their client's needs.